The best games and activities are usually the simplest and the fastest to put together. We have been having a lot of fun with ghost crafts and activities this week! Today I'm sharing a ghost knock down game that you can make in just a few minutes and then play with again and again! 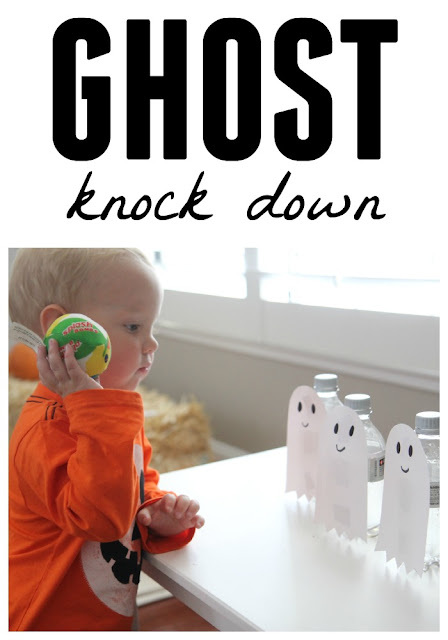 To make the ghost knock down game you need to cut out several ghosts from white cardstock and draw faces on them. Next you need to stick them to the front of your empty water bottles (using tape). 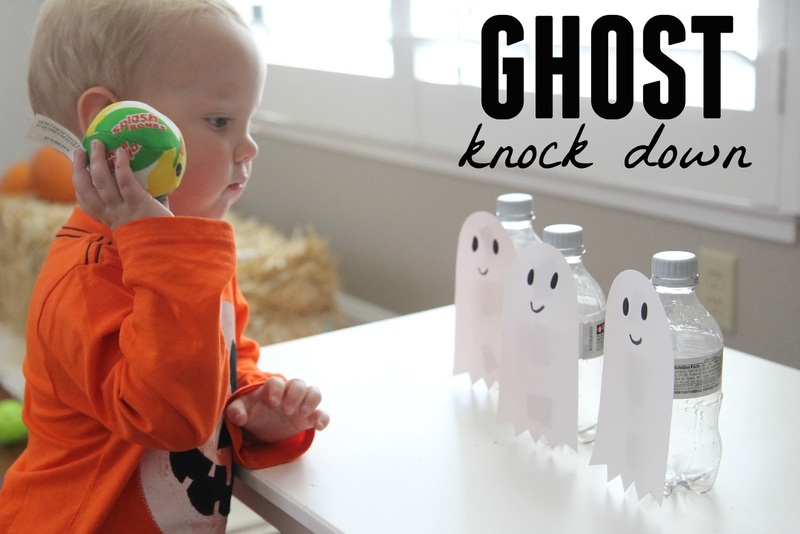 Once the water bottles look like ghosts, set them up in a row on a table and grab a soft ball! Toss the ball at the ghost water bottles and see how many you can knock down! Play again until all water bottles are knocked down. For older kids I make a line with painters tape on the floor and they need to throw the soft ball from wherever the tape line is. My kids ages 2, 4, and 7 all had fun with this! It is amazing how knocking things down again and again is addictive. My kids just wanted to play this again and again!